Studia Rerum Iudaicarum (The Study of Jewish Things) is James Waddell’s blog for reflecting on Jewish literature from the Second Temple period and Late Antiquity. It is also a place to discuss issues of tsedaqah, an important aspect of Jewish life and thought in the Second Temple period, as we learn from our past and as we live today to love God and each other. 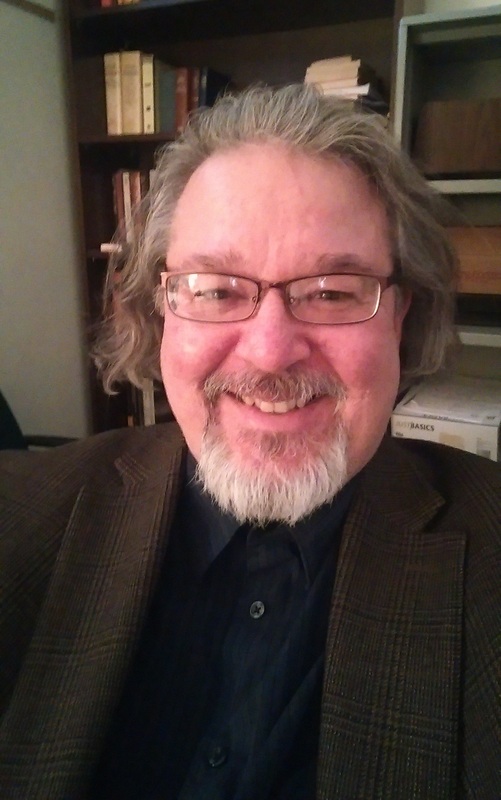 As Associate Professor of New Testament at Ecumenical Theological Seminary in Detroit, James earned the Ph.D. in Second Temple Judaism from the Department of Near Eastern Studies at the University of Michigan. He has taught Biblical Studies, Classics, Religious Studies, World Religions, and Liturgical Theology. He has published a number of books and peer-reviewed articles, has delivered numerous papers at professional conferences, and is an active member of the Society of Biblical Literature. He is the author of The Messiah: A Comparative Study of the Enochic Son of Man and the Pauline Kyrios (London: T&T Clark, 2011) and The Struggle to Reclaim the Liturgy in the Lutheran Church: Adiaphora in Historical, Theological and Practical Perspective (Mellen: 2005), which was referred to by Bryan Spinks (Yale Institute of Sacred Music) as “a major contribution to the wider debate on liturgical theology,” and was included by Frank Senn (North American Academy of Liturgy) in a select bibliography for the article on Lutheran Worship in The Cambridge Dictionary of Christianity (2010). His teaching entails reading the New Testament documents in their natural context of Second Temple Judaism and Greco-Roman culture as an essential approach for understanding the extraordinarily complex dynamics of the social, political, and religious forces that shaped the emergence of the early church as Christianity. His teaching also highlights early Jewish and early church views of exploitation of the economically marginalized, and postmodern/post-colonial appropriation of justice regarding wealth, poverty, racism, violence, endurance, and liberation. His research focuses on early christology as a development of the complex social and ideological intersections of Judaism and Christianity. With more than 25 years of experience as a parish pastor, James’ current ministry is in an urban setting where his congregation hosts the Huron Valley Urban Farm in Ypsilanti. HVUF is an emerging community-focused food growing project that is local, clean, and sustainable, with the goal of empowering residents of the surrounding neighborhoods to increase their food security and develop stronger relationships with each other through shared experiences of working together to grow food. HVUF is currently developing its capacity to support pollinators.